The Connecticut Yankee Chorale is a community choir based in Torrington. CYC presents two annual concerts featuring a wide variety of choral repertoire. 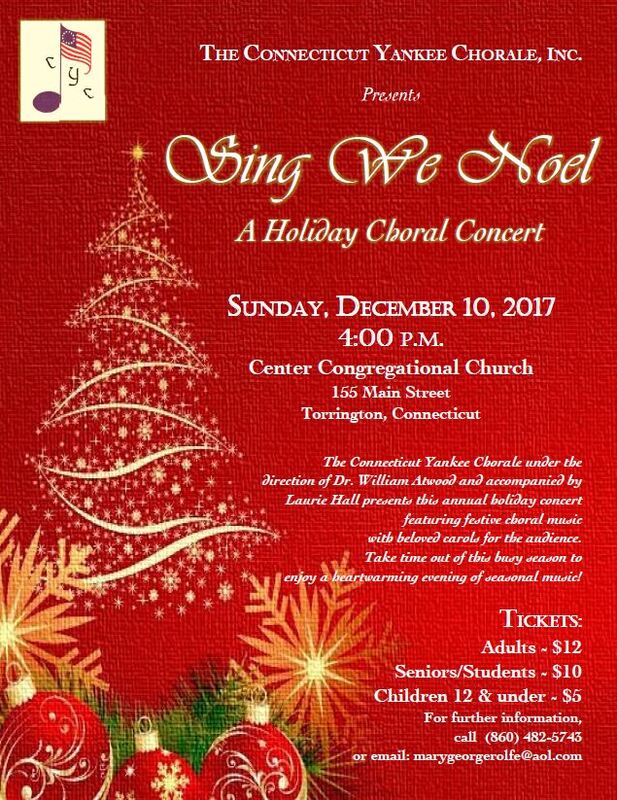 The Connecticut Yankee Chorale presents a concert featuring festive choral music with beloved carols for the audience. Take time out to enjoy a heartwarming evening of seasonal music! 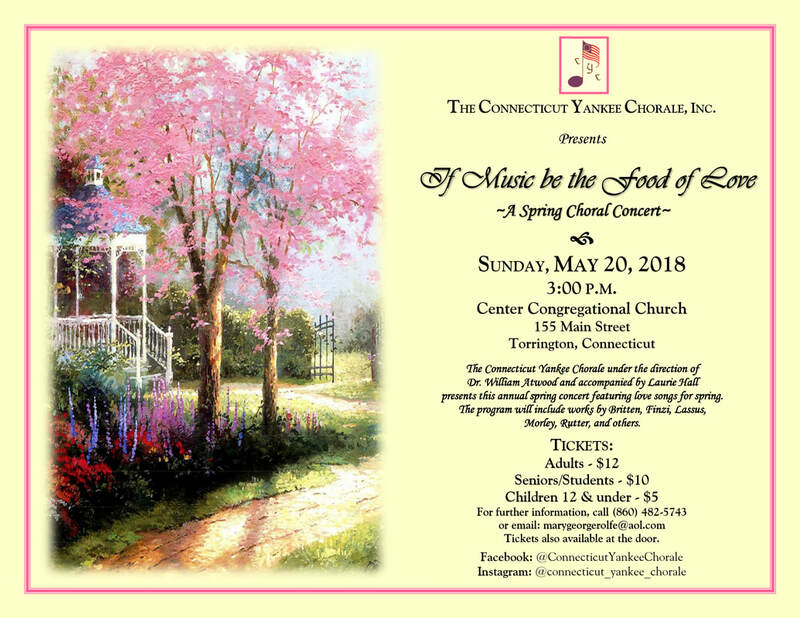 The Connecticut Yankee Chorale presents a spring concert full of music and love! Featuring songs from Rent, Candle on the Water, and many other classics!